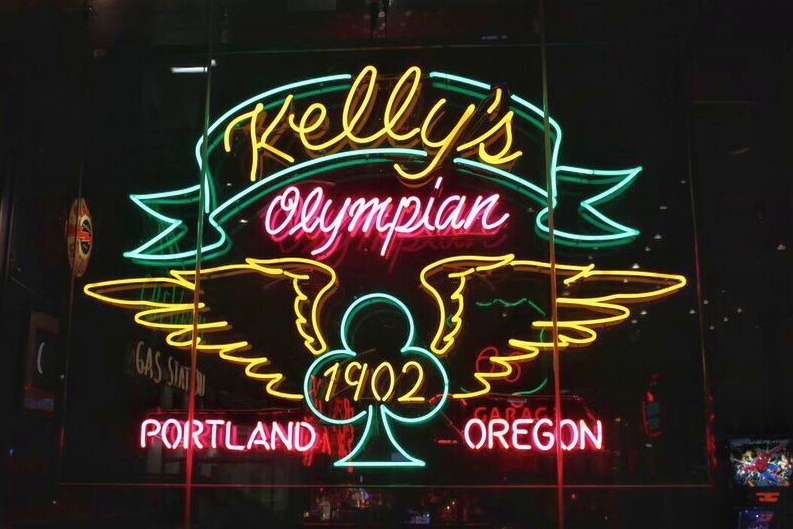 I present to you my list of THE BEST NEON SIGNS in Portland, Oregon. Why is neon my passion? I don’t know. I guess I’m weird? I just love what a good neon sign can do to a neighborhood. It really adds warmth and a level of fun that other signs just can’t compete with. 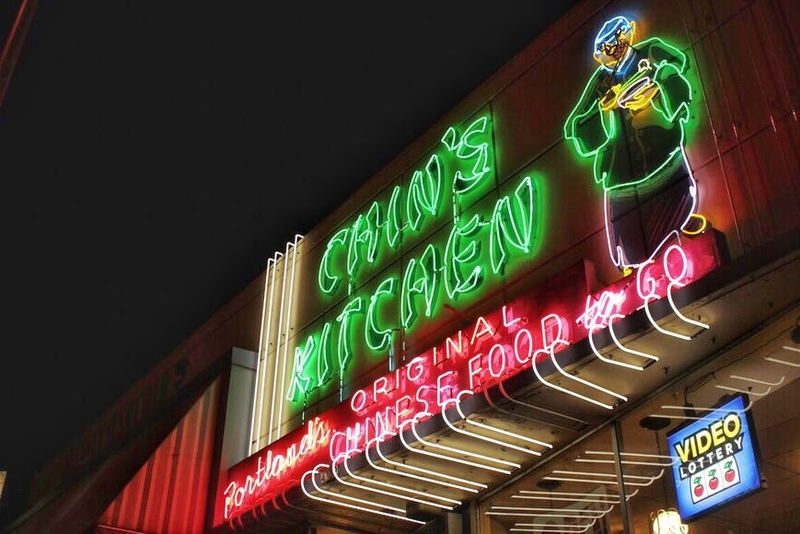 I’ve been keeping a list of great neon signs in my Evernote folder for a couple years now and it’s finally time to share. 1) Must be unique. Won’t see it in lots of bars or in lots of other cities. 2) Must demonstrate more than just the name of the business. Ex: The huge Volvo sign sining over West Burnside. While iconic here in Portland, is just the Volvo logo. Same goes for that old 7-Up sign. 3) Preferably uses the sign in an artistic, humorous or thought provoking way. 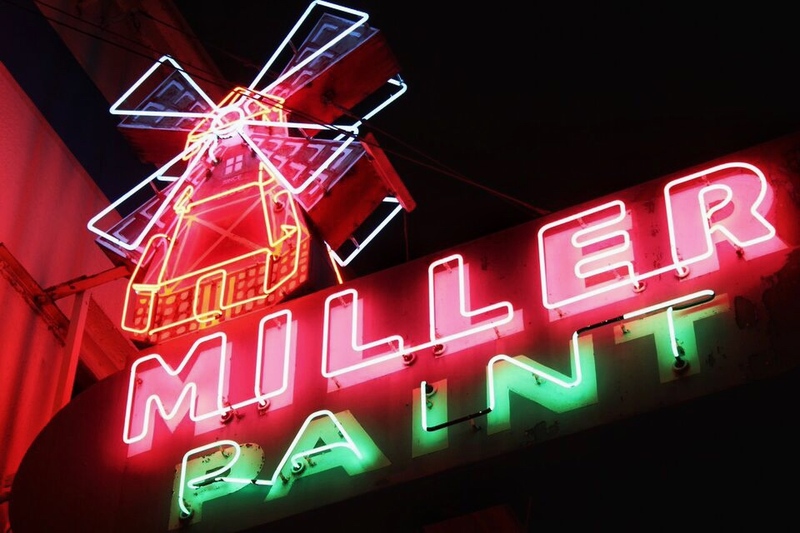 There are a number of Miller Paint locations around town but only the store on SE Grand has this fantastic sign featuring a windmill. Get it? Miller. Windmill. It’s cute and it makes an otherwise dark section of this street look really nice at night. This downtown motorcycle bar uses neon signs inside and out, but I think the sign on the front window is the best. 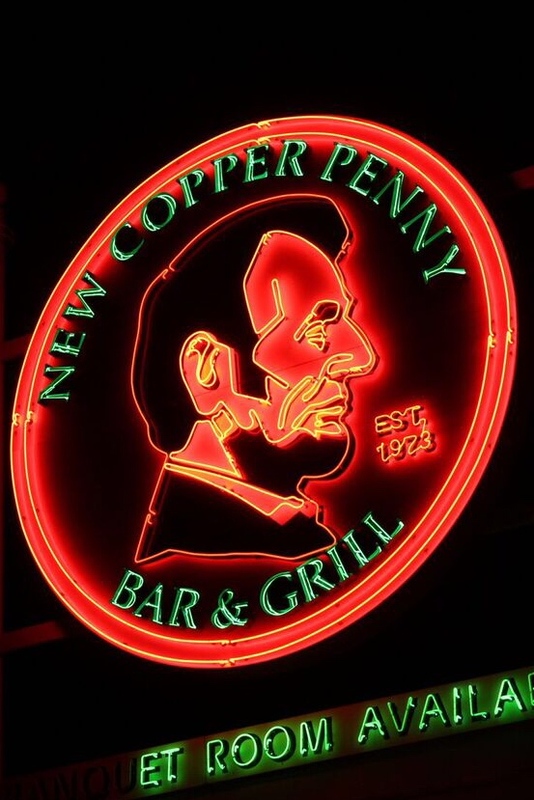 Without it, this place would be an uninviting hole-in-the-wall. It’s tough and fun at the same time with an unexpected color palette. They didn’t have to make this. But they did. 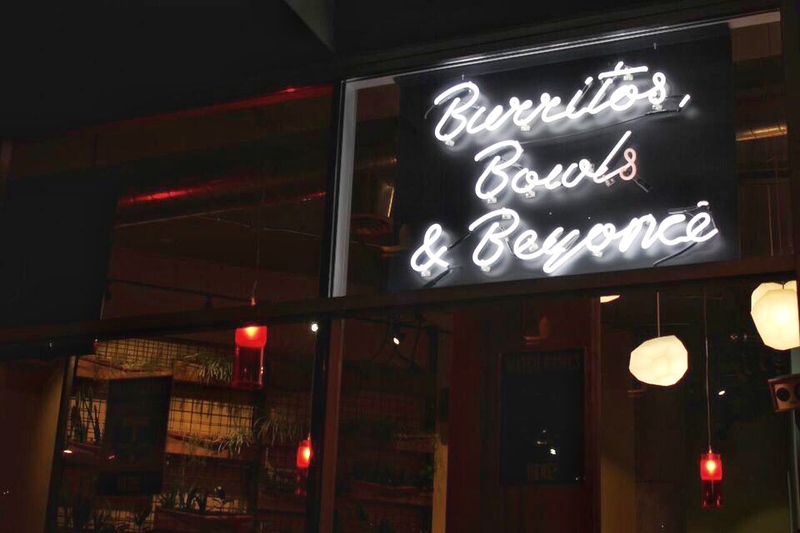 A little sign on the side of the Goose Hollow Laughing Planet that says “Burritos, Bowls and Beyonce”. It really sets an expectation, don’t you think? Your burrito game better be on point Laughing Planet. I fully expect my next one to rival Queen Bey. 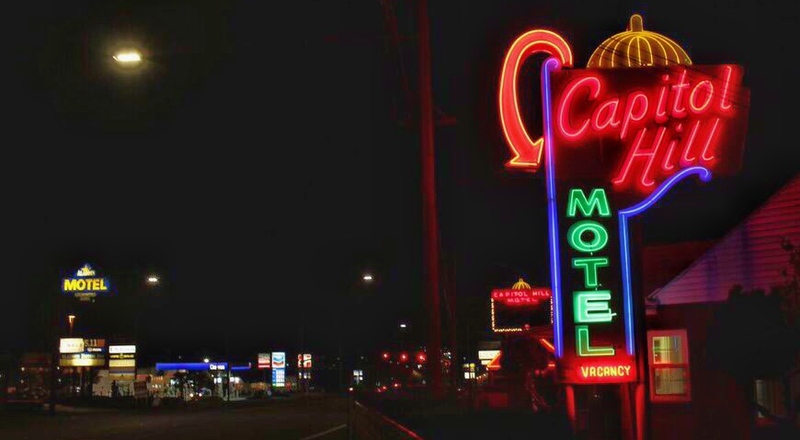 No neon list would be complete without some vintage hotel signs. I think the Palms Motel sign is the better of the two but on the day I visited, a bunch of the lights were out, while the Capitol Hill Motel, was shining bright. The Capitol Hill is also a great addition to an otherwise boring part of town. So I’m calling it a tie. Abraham Lincoln. In neon. Enough said. No text needed for this sign. 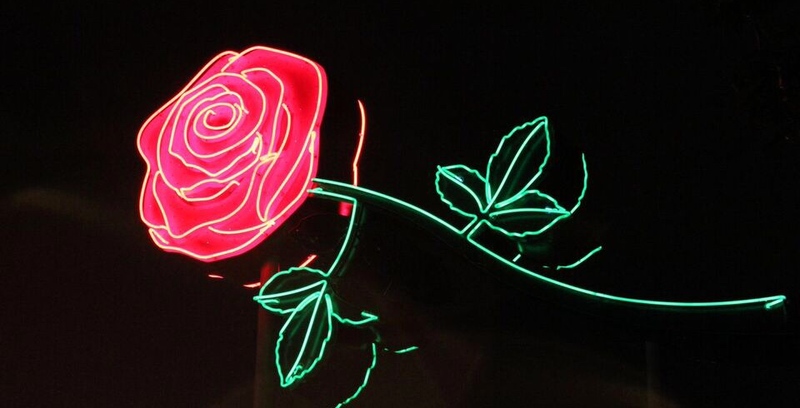 One glowing rose is enough for the headquarters of Portland’s most famous festival. Situated right on the waterfront, it’s a great addition to the Westside skyline. This restaurant may have inspired this entire list. I’ve admired this sign for years as it peeks out onto NE Sandy from a side street in the Hollywood neighborhood. But for me it’s a real mystery how they keep it on. This restaurant has horrible reviews and I rarely see anyone inside, but the sign is always blazing. Despite all that (and the very racist picture) I love the design that uses multiple fonts. 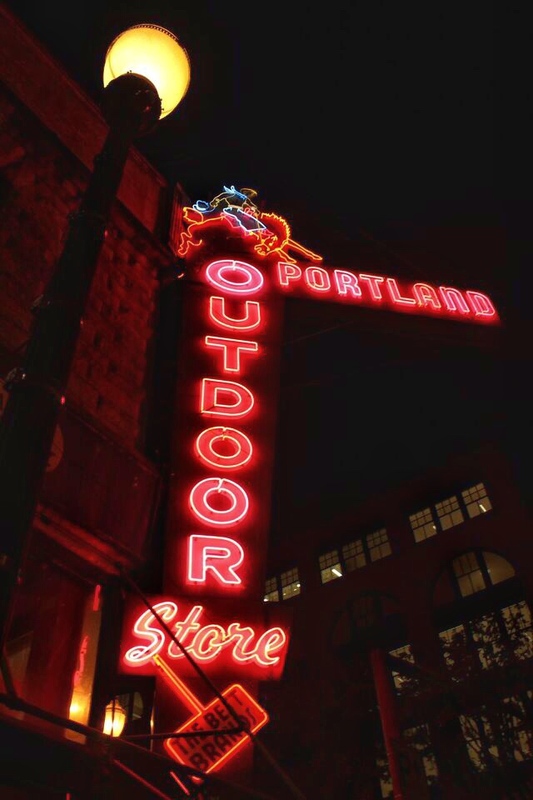 Amazingly the Portland Outdoor Store, a western outfitter, has remained open in downtown Portland since 1919! Such history. And their sign is iconic. I love the nod to our cowboy roots with the bucking bull at the top and it gets bonus points for animation. Isn’t this one great? The new Frances May boutique on the corner of 10th & Washington has its name in neon on the corner, but I love this simple window sign. 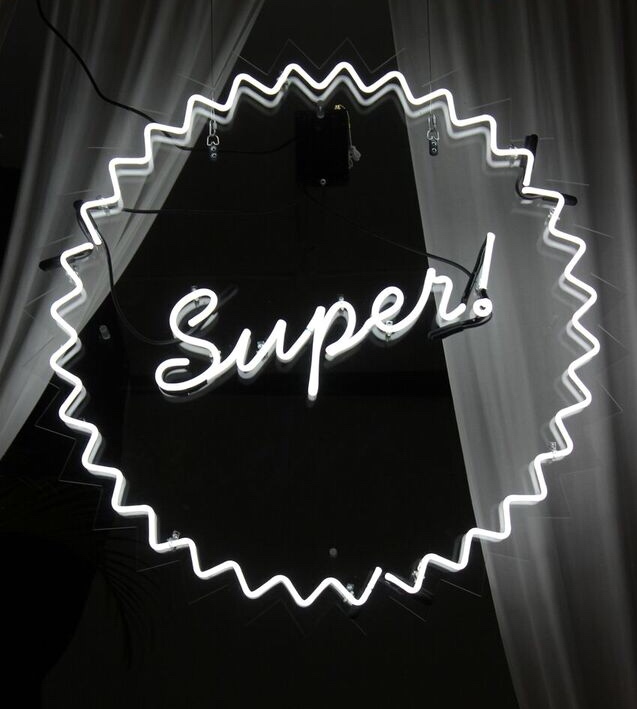 It’s just super. Again, bonus points for animation. This sign really isn’t that flashy, but I just love the three frame animated climber that dangles over East Burnside. I’m not a rock climber but this sign kind of makes me want to give it a try. I don’t even know what business this is for! I think it’s a building that has a number of companies inside. (But please correct me if I’m wrong). I just love the message here: When you aren’t working, you should be playing. Life is short and it should be as fun as possible. If that’s not true perhaps it’s time to reexamine things. I may be reading too much into this, but obviously this one speaks to me. I probably could have put all of Portland’s vintage movie theaters on this list, but I had to draw the line somewhere. 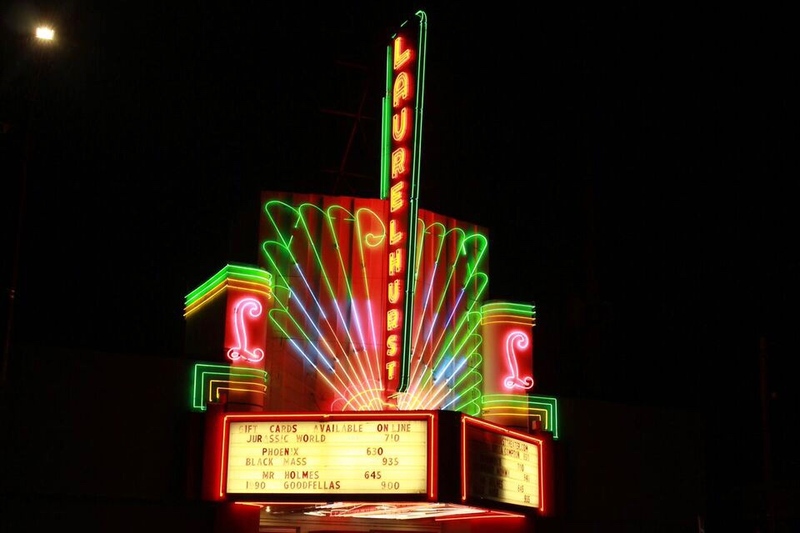 The Academy, Star, Hollywood, and Baghdad all have great neon, but in a photo comparison, I thought the Laurelhurst was best. It has the most detail and colors. But I’m happy to entertain arguments for other theaters. 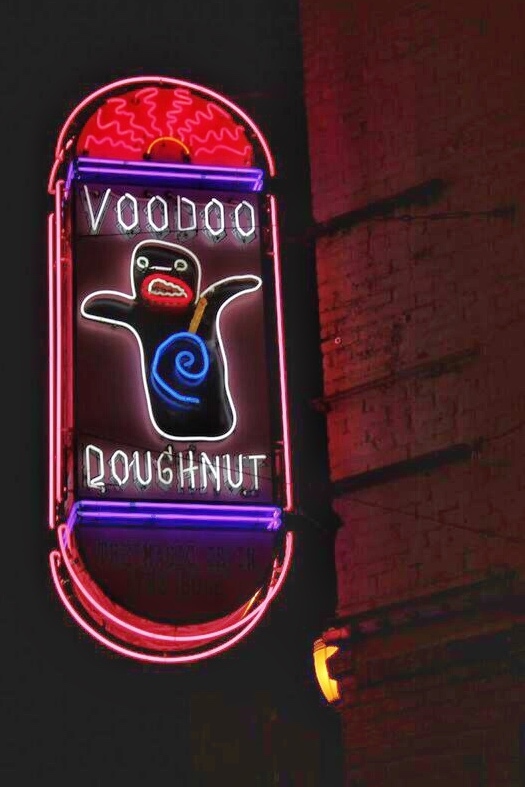 This is a fairly new sign that was installed during the recent remodel of Voodoo’s downtown location and they NAILED it. It’s weird, a little rock n’ roll and grabs your attention, just like their doughnuts. It’s only fitting that the most popular business in Portland has one of the best signs. I didn’t want this to be the best sign in Portland. It’s just seems too obvious but… it just is. A beautiful animated sign shining out over the river for all to see. Our city pride advertised in lights. Plus, it is one of my favorite holiday traditions: Every year from Thanksgiving to New Years, the White Stag becomes Rudolph with a glowing red nose. Well, that’s my list. I’m sure I missed something. Please please please tell me what neon I forgot about, missed or have yet to discover. Thanks for reading! What an AWESOME idea for a list! 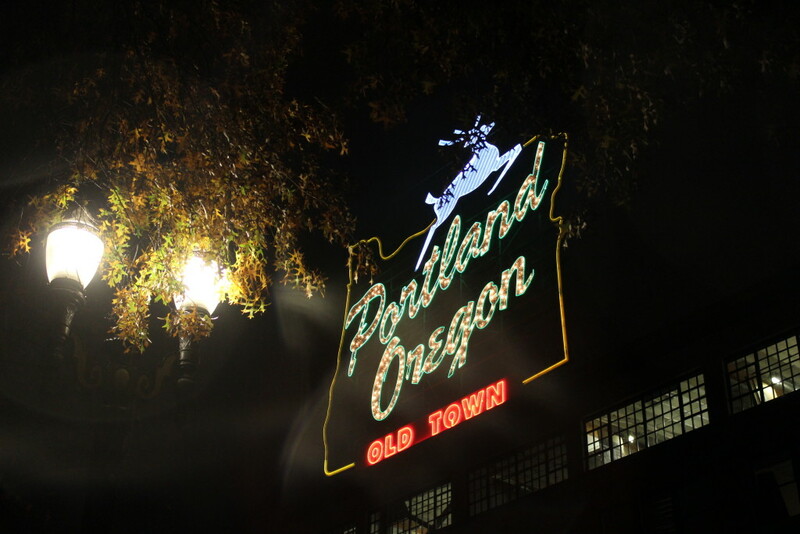 I think I take Portland’s neon signs for granted. The white stag sign is such a symbol of home to me. Love this! I LOVE neon signs, and I love this post. I even allow my husband a Budweiser neon sign up in our kitchen, just because I love the glow. You’ve got to check out this place: God’s Own Junkyard (http://www.godsownjunkyard.co.uk/), it’s the studio of a lighting artist that makes really cool neon signs, there is a video on the page, I think you’ll like it. 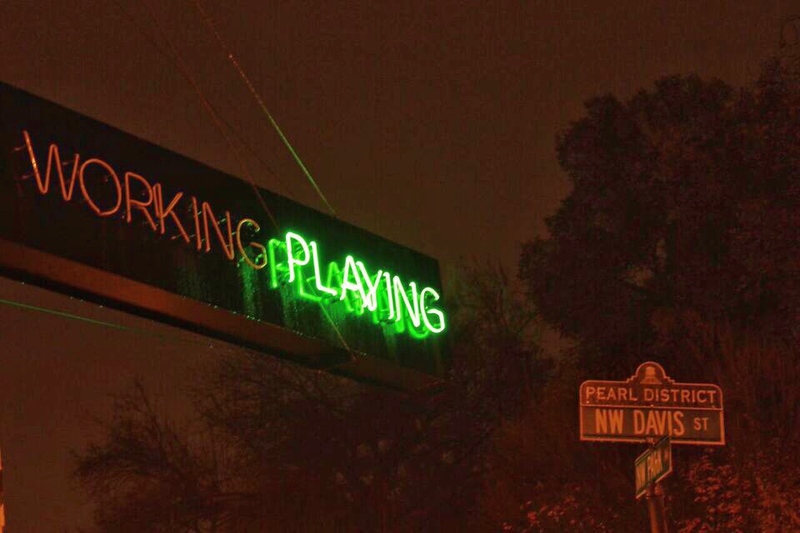 The working/playing sign is IDL Worldwide’s. They are a branding agency. When they are open it says “working” and when they are closed it says “playing”. 🙂 Great post! Thanks for the info Sarah! I did a quick google search but couldn’t find the name of the business. Thanks for reading! 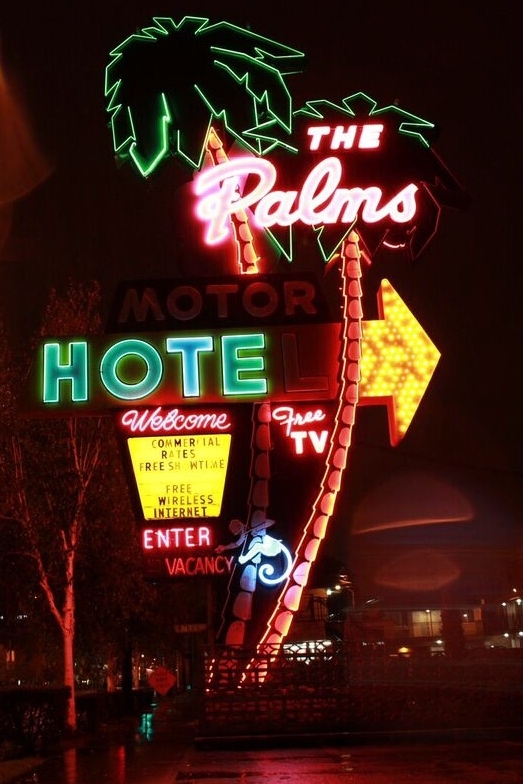 My father, Jack C. Clarke, designed the Palms sign. I remember him taking us by it shortly after it went up. My dad began designing signs in 1927 and continued until he died in 1983. The largest still working is Jim Fisher’s Volvo sign. When the Lloyd Center opened 90% of the signs were his work. His Farrell’s signs were all over the world. It is unfortunate that there is not a list of what he did.